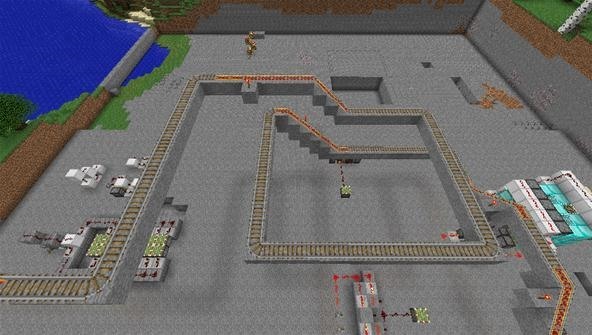 Minecarts are a lot more complicated than they may seem at first. Between regular rails, powered rails, and detector rails, they all have a lot of quirks that can make them hard to use. Often, the hardest part is just getting the ride started, but once you've gotten rolling, how do you make the best use of the various types of rails to give your riders the excitement that they crave? How much is too much, and where is the line between exciting and boring? Hop on the server and come visit the Moustache Testing Zone at /warp moustachezone to take a ride on the Dr_Moustache Testing Zone Automated Tour this Saturday, May 26th at 12:01 pm PST (3:01 pm EST). Join us on our TeamSpeak server, too, at ts.wonderhowto.com. Don't forget about this week's challenge on building small towns! 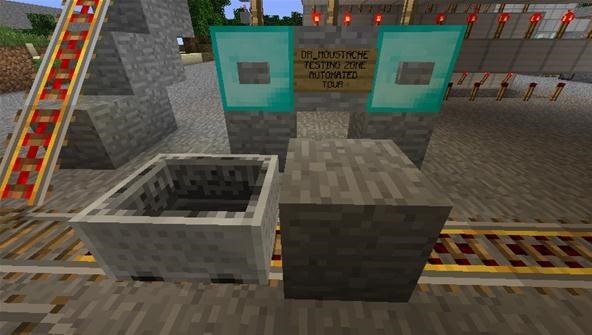 There will still be plenty of time to equip your town with a minecart transportation system! Grrr I have to work. 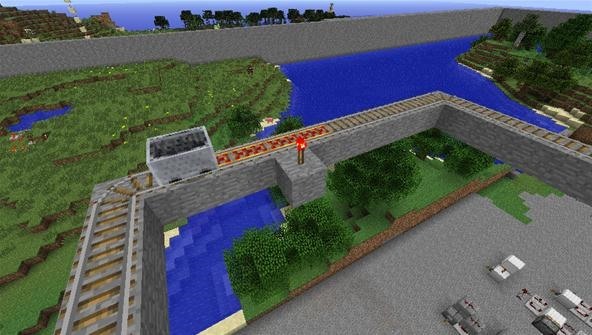 Or I would let you all tour my Minecart facilities scattered around the server. There is even one line all the way from spawn to limit. That one is a pretty boring ride tho. Unless you like smooth stone tunnels intersperse with small caves, lava lakes, and some water features at level 10. Um You may want to rephrase that.